I frequent this shelf a fair bit – usually just to browse but occasionally for a solid read. 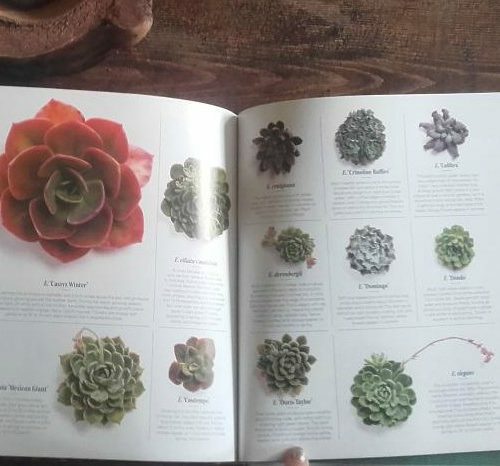 While I have many books on cut flowers and floral design, as well as various houseplant projects books, I am also steadily building up a collection of reference books on succulents. 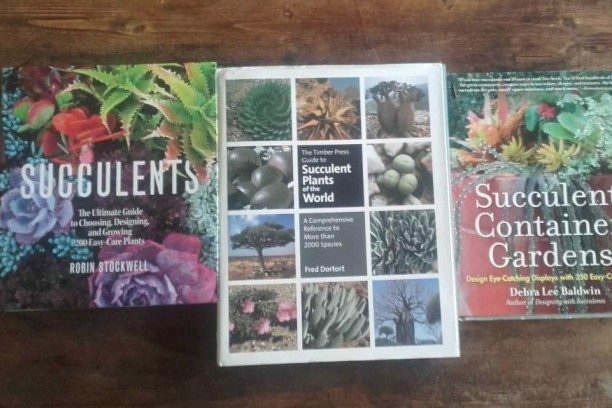 So I thought I would do a quick post on my three favourite books on succulents in case you were after some recommendations and have to some Christmas cash to burn. I happened upon a copy of this title at work before it became available in shops, fell in love and immediately pre-ordered a copy of my own. If the cover alone doesn’t intrigue you, then the contents will. The photography is gorgeous and rich in colour, just flicking through each page is a joy, but the detail is there too if you want it. The book is split into sections. One section concentrates on using succulents in your garden – which is interesting but not particularly valuable if you live in the northern hemisphere and get wet, cold winters. However some of the tips could be applied to container gardening. 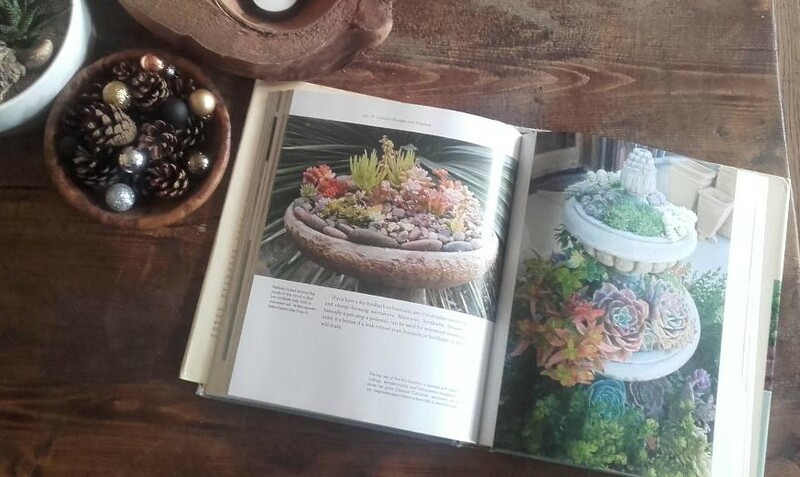 There is also a whole host of home projects to try; some look genuinely interesting (I may well try making a succulent table- top Christmas tree next year) while others do not tempt me at all (however cool it may be currently, I do not want to wear succulents in my hair! A succulent hair clip? Really?) 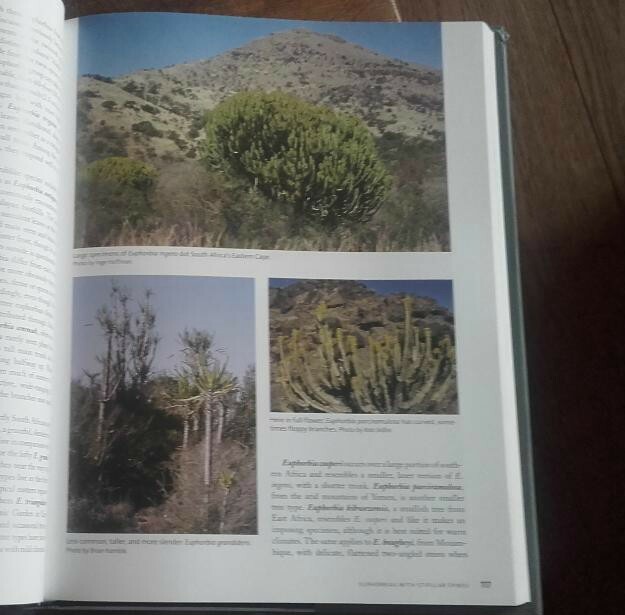 For me though, the biggest draw of this book was the encyclopaedic list of succulent species and cultivars towards the end. 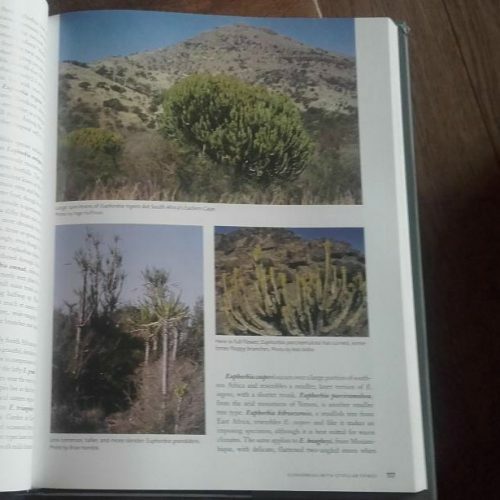 Complete with arial photos, it also includes helpful information on the different plants. This is the first book I check if I want more information on a particular plant. This book might be a little left field – it certainly won’t be winning any prizes for coffee table book of the year anytime soon. The photography is quite uninspiring and there isn’t a DIY succulent project in sight… but I love this book! 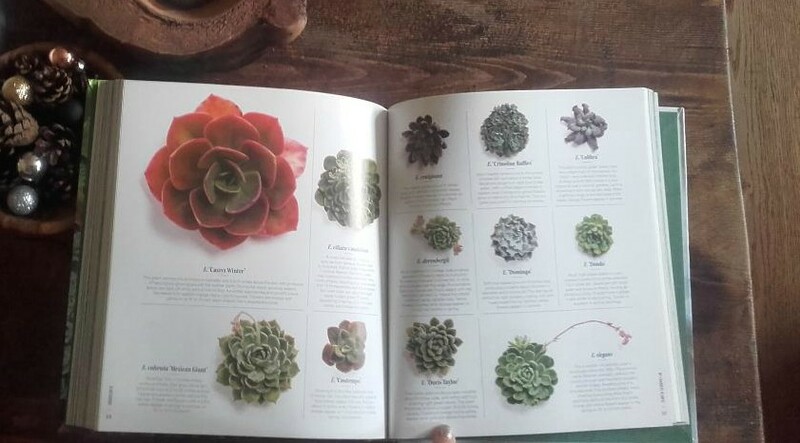 See, while I love planting and designing with succulents, I am also a massive succulent geek and I always want more information than the design-focussed books ever seem able to provide. I want to know where plants are found in the wild, when they were discovered, how they relate to each other. So if it’s taxonomic details I’m after, I will always check this book. 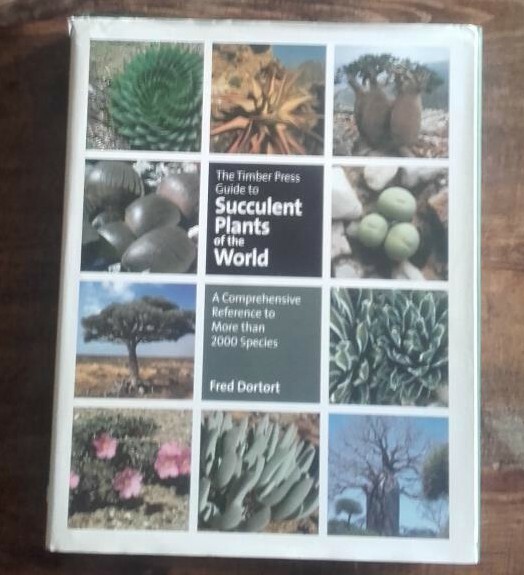 If you can look past the dusty flat images of succulents occurring naturally in the wild, there is a huge amount to learn from this brilliant book. How could I not include the Queen of Succulents? 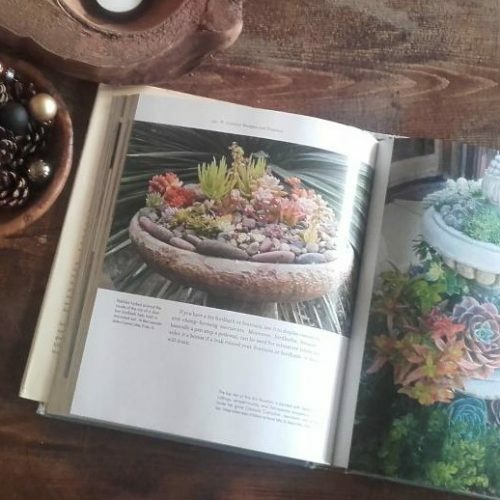 It amazes me that this woman can make a living both writing about and planting succulents in pots – she has my dream job! If you are not familiar with Debra Lee Baldwin then I recommend you look her up – and start with this book as it is a winner! 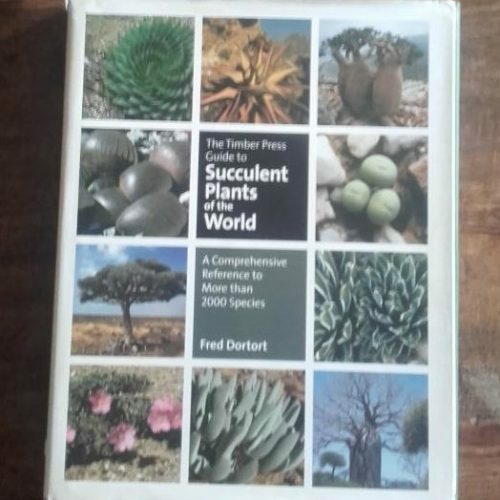 This was the first succulent book I ever got and as soon as I opened the pages (on Christmas day – it was a present from my sister) I was itching to go and find loads of pots and plant them with succulents, like right that second! I still find it as inspiring whenever I read its (now slightly dogeared) pages. 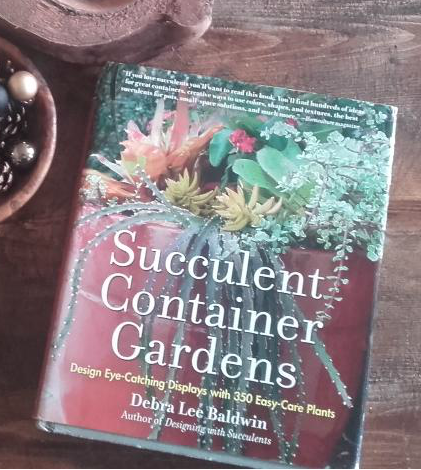 The text is very informative and I like that Debra has obviously kept many of the succulents mentioned herself. 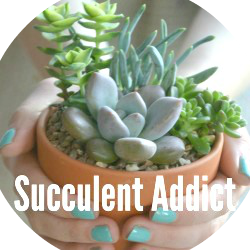 You feel as though you are being informed not just by by an expert, but also a genuine succulent fan and collector. One slightly annoying detail is that Debra lives in California, with lower rainfall and warmer temperatures than my world. She can plant succulents in her landscape as abundantly as British gardeners can plant Spring bulbs, and get excellent results. So a fair amount of the book assumes readers live in simiarly dry landscapes. However there is a section on overwintering, so clearly Debra hasn’t forgotten her fans in the north. 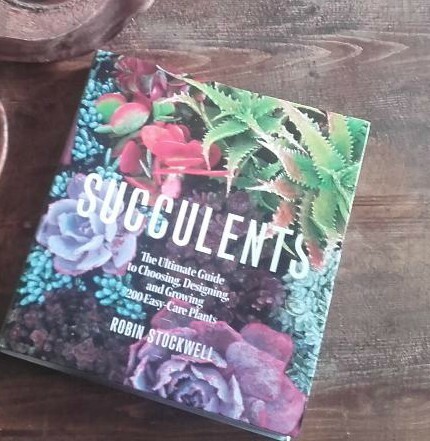 So there you have it – my top three picks for succulent books. I hope you found it helpful. Do you agree with my picks or should I be reading something else? I would be glad to hear any recommendations of your own – feel free to contact me on instagram or facebook. If there is one book I would really like to read, it would be a book on all succulents available in cultivation, including parentage of any hybrids. If you’re reading this and you work in publishing, maybe you could make my dreams come true? I would be first in line to buy that book.